I have tried more earplugs than I can count anymore. From the foam to the high-end shooting earplugs. However, after reading a post on a website about a set that was specifically designed for motorcycling (well, the company designs them for all kinds of different activities) that I would give one more set a try. Most of them end up being uncomfortable, or come out slightly when I put my helmet on. This makes them something I just don’t want to use, when I even remember to put them in. I realize it is bad for my hearing, and I do care. I even tried using earphones and listening to music, but again, when I get my helmet on and in place, most of the time they work themselves loose, which ends up being very uncomfortable. Enter No Noise Earplugs. They are a simple design from the outside, with short stems and a tight fit. I was worried at first about a suction being created, however there is a tiny hole in the center that allows air movement. The key to these working so well is that hole, or rather, the ceramic insert that is designed to filter out the noise of the wind. 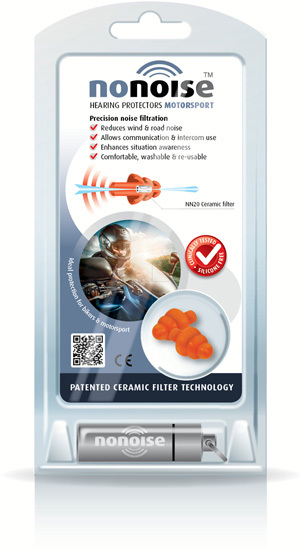 Rather than getting into the scientific specifics, I will just link to their site: NoNoise Motorsport Earplugs For those in the states, I recommend actually getting them from Amazon – watch the site for deals and such: NoNoise Motorsport on Amazon. As you see, they come with a nice aluminum case, which I have attached to my key-chain. No more excuses of leaving them in the storage. When I first put them in, they sounded like any other earplug. Everything was muffled as expected. They were comfortable, and when I put my helmet on, they didn’t move. That was a huge plus, no adjusting or being half-way out. So I was like, OK, I just spend $25 on earplugs that are slightly more comfortable than the ones I got for shooting for $15. It wasn’t until I took my first ride that I really could tell the difference. I could hear my engine, exhaust, the ambient sounds of the road and city. What I could hardly hear at all was the wind. It was amazing, from 10 miles per hour to 85 miles per hour, the wind was barely noticeable. It was a whole new experience, and these things beat out everything I have tried since I got the bike. Another thing I am looking forward to is when I get my communications unit. The site says I should be able to hear the in-helmet speakers with no issue. I can’t wait to try. 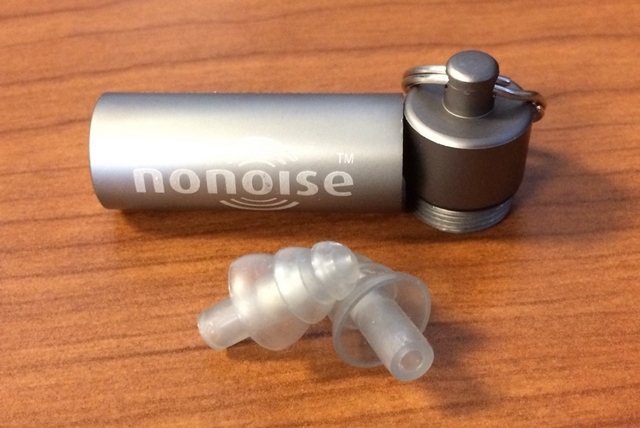 I highly recommend these earplugs to anyone who rides a lot. And check out their site for other earplugs that have been made and tuned for different activities. This entry was posted in Riding Gear. I have a head full of cicadas due to industrial noise and to preserve what little hearing i still have, I use a set of custom moulded ear plugs. I wouldnt ride without them.